Frank Gasparro designed the Susan B. Anthony (S.B.A.) one dollar coin and was first minted in 1979. The coin was continuously produced through 1981 when demand for the coin ceased. In 1999 The Federal Reserve Bank ordered more one dollar coins to meet the demand of the vending machine industry. This increase in demand resulted in an eighteen-year lapse between 1981 and 1999 where no dollar coins were produced. The Treasury Department hailed this new one dollar coin as the replacement for the paper one dollar bill. Unfortunately, the coin's size and color were very similar to the U.S. quarter, and people frequently confused this new one dollar coin with a quarter. This confusion resulted in the public rejecting the use of this coin and initiated its ultimate demise. Collector demand for this coin series is low due to its lackluster design and rejection by the public. Both circulated and uncirculated examples are readily available. Occasionally, you may be able to find circulated coins available at your local bank. Uncirculated coins can be purchased at reasonable costs from your local coin dealer. Intermediate collectors seeking examples of proof and die variety coins will find them readily available at local coin shows and on the Internet. Advanced collectors seeking to assemble a collection of the high-grade business strikes and proof specimens will need patience and time to track them down and purchase them. Beginning collectors or coin collectors not seeking to assemble an entire set can readily find an uncirculated example at any coin shop or coin show. The United States Mint issued three coin collector sets of uncirculated specimens from the Philadelphia, Denver and San Francisco mints. Coin collectors can purchase the sets for a slight premium over face value. Given the short run of this series, very few people will collect a date set of S.B.A. Dollars. At first glance, it looks like this series has a twenty-one-year span of production, but in fact, the United States Mint only produced it for four years (1979, 1980, 1981 and 1999). With a little extra cash and effort, you can collect an entire date and mint set of this series. Many factors go into determining the price and value of a coin. As a coin collector, you must develop your coin grading skills in order to determine an accurate value of your coins. 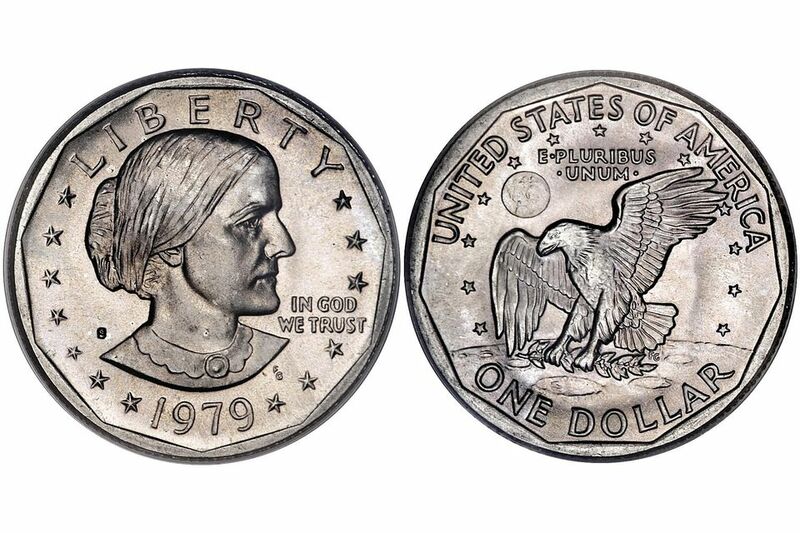 Also, you will directly benefit by learning as much information as you can about the Susan B. Anthony One Dollar coins. This includes such things as total mintages, die varieties and detailed specifications. The following guides will help you learn these skills.